If you have a positive attitude, are hardworking and detail oriented, we want to hire you! Our purpose at Peak Environmental is to develop green industry professionals that build and manage smart landscapes. Our curriculum of safety and skills training begins on day one and extends throughout the career of every team member here. 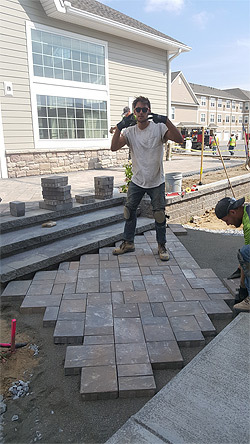 We pride ourselves on the quality of our staff and the rigorous safety, workmanship and efficiency standards that they maintain daily. * A clearly defined "Pathway To Success" to get training, receive pay raises and advance up the company ladder! * Company Trips and Parties!